All too often kids are snared by the comparison trap. They see the successes and gifts of others and instead of celebrating with them are instead reminded of their own shortcomings. When this happens, it is easy for envy and jealousy to blossom. Envy exists when people want something that another person has. In other words, the envious person feels that it is not fair for that person to have what she wants. For instance, kids feel envious when another is perceived to be more popular or well liked. They also might feel envious when someone is elected class president or is acknowledged for getting good grades. Kids can even experience envy over clothes, electronics, and relationships. Whatever the source of the envy, the envious person covets what another person has and wishes it was theirs. For this reason, envy is sometimes at the root of bullying behaviors. This is especially true when it comes to mean girl behavior and relational aggression. 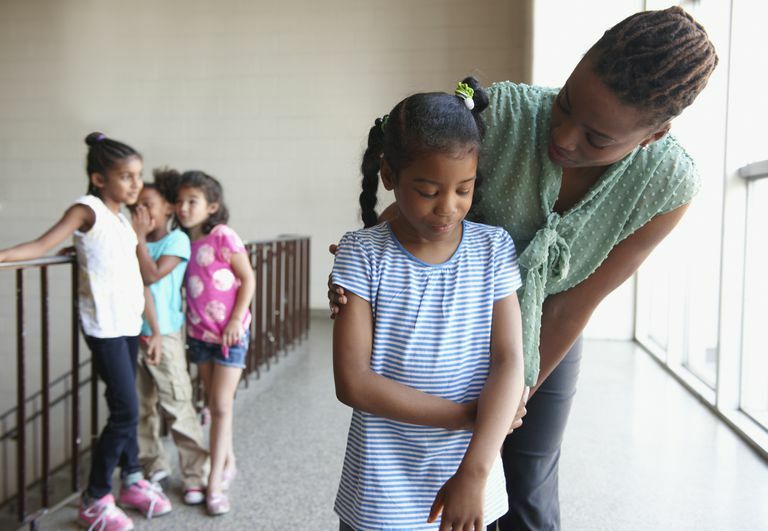 Here are three reasons why envy can lead to bullying behavior. Most teens struggle with comparisons and measuring up while using social media. In fact, countless studies have shown that envy increases with social media use. Part of this has to do with the fact that most people only post their "highlight reel" online. In other words, they post about their successes, their vacations and the parties they attended and very rarely talk about the mundane and boring parts of their lives. Consequently, when other teens read this information, it is natural to assume that these posts represent the entire picture of their life and when compared to the mundane and boring parts of their lives, they become envious. And when feelings of envy and jealousy are allowed to grow, they can lead to bullying. The reason is simple. Envious people want to take something away from the person they are envious of. And they use bullying as a tool. This bullying can include everything from threatening behaviors to name-calling, spreading rumors and gossip and cyberbullying. In these instances, envy becomes a form of power. The goal is to deprive others of what they have, whether it is a special talent, being popular or having nice clothes. Sometimes envy rears its ugly head when a person feels a sense of inadequacy, emptiness or unworthiness. In these cases, kids want to close the gap between what others have and what they want. So the goal behind their bullying is to bolster their own feelings of self-esteem at the expense of another person. But envy is a hunger that cannot be filled with bullying behavior. Bullies never develop a sense of self-worth or happiness at another’s expense. Although seeing the person they are envious of suffering may seem like what they want, it does little to make them feel better about who they are. And in the end, the bully still has the same self-esteem issues that need to be addressed. Envy also can be triggered by competition. This is where bullying in sports often originates but is not limited to athletics. Kids can be competitive in all areas of their lives including in relationships, with grades, and with status. Usually, competitive and perfectionistic kids envy others who seem to have some advantage or power that they want to have. They cannot tolerate the success of someone else because it makes them feel inferior or less than perfect. As a result, they resort to bullying. The goal behind their bullying behavior is to eliminate the competition or find a way to possess the position or status their target has. They believe that by diminishing another person's success they will, in turn, make themselves feel better. But it never works out that way. If you see your child struggling with envy, it is important to address those feelings right away. Help her discover why she feels envious. Then, develop some solutions for working through her feelings. For instance, turn her envy into a motivator to work harder on her goals. Instead of focusing on what she does not have, teach her to focus on how she can achieve what she wants in a healthy way. Also, help her improve her self-esteem. And teach her that the success of others does not diminish who she is.